Sainsbury’s has sold its chain of pharmacies to the owner of LloydsPharmacy for £125m. Celesio, the German drugs wholesaler that owns LloydsPharmacy in the UK, said that it would buy 281 pharmacies in total from the supermarket group. 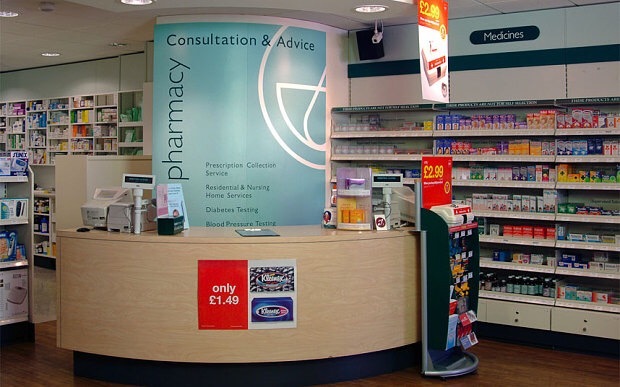 This includes 277 in-store pharmacies and four Sainsbury’s-branded hospital pharmacies. The grocer said that all of its pharmacies would be rebranded as LloydsPharmacy and 2,500 of the grocer’s staff would be transferred to Celesio. Sainsbury’s, which this week reclaimed its title of Britain’s second biggest supermarket, said that the deal would allow customers to “benefit from an enhanced pharmacy service delivered from Sainsbury’s stores”. 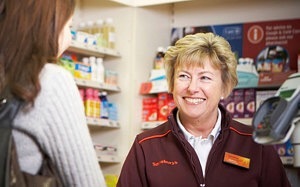 Mike Coupe, Sainsbury’s chief executive, said: “Pharmacy services are incredibly popular with Sainsbury’s customers and we are delighted to be teaming up with LloydsPharmacy to develop our offer. Earlier this month Mr Coupe said that he would “reinvent” the supermarket and make its store space work harder. Lloyds is the second biggest pharmacy chain in the UK after Alliance Boots with more than 1,600 stores. “We are extremely pleased to be working with Sainsbury’s and look forward to welcoming our new colleagues to the LloydsPharmacy and Celesio family,” said Marc Owen, chairman of the management board of Celesio. Lloyds missed out last year on the Co-operative Group’s sale of 700 pharmacies to private cash-and-carry business Bestway. Lloyds had battled it out with private equity firm Carlyle, the owner of the RAC, to clinch a deal but lost out in a £620m deal to Bestway, which is run by Asian tycoon Sir Anwar Pervez. It is understood that Sainsbury’s received a number of expressions of interest from other buyers but Lloyds was the highest bidder. It was thought at the time that the Co-op opted to sell the chain of pharmacies to Bestway to avoid inevitable job cuts that would come with selling to a rival or hitting regulatory hurdles. Sainsbury’s sale of pharmacies to Lloyds will also need regulatory approval and is expected to complete next February. LLoyds also competes with Superdrug, which has pharmacies in roughly one in four of its 800 stores and Rowlands, which owns more than 500 chemists. US drugs wholesaler McKesson bought Celesio in a $8.6n deal despite its original proposal being rejected by Elliott Associates, the activist hedge fund. Posted on July 29, 2015, in Other. Bookmark the permalink. Leave a comment.